You&apos;ll "love" what the annual BNP Paribas Open is serving-up in Greater Palm Springs for 2019. 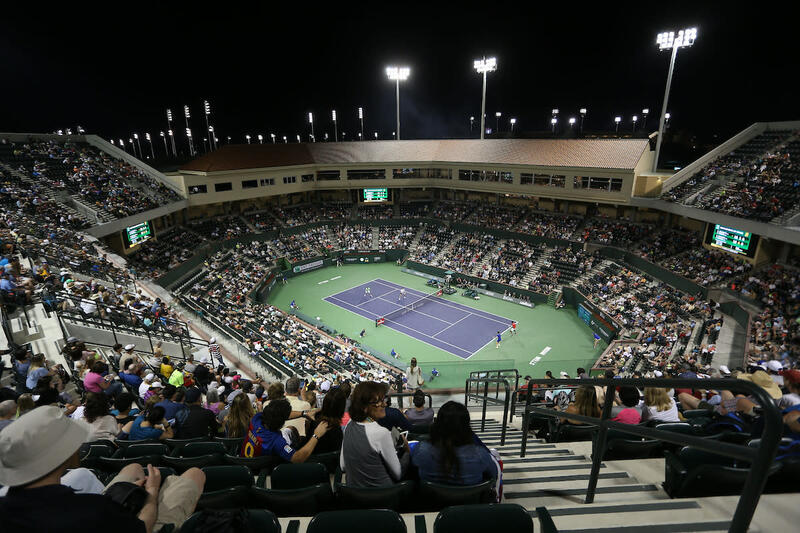 Recognized as "Tournament of the Year" by the ATP and WTA for the fifth consecutive season, the event informally known as the game&apos;s fifth Grand Slam returns to the Indian Wells Tennis Garden (IWTG) this March 4-17, 2019. Annually known around the globe for its star-powered field, the 2019 BNP will sport the game&apos;s top 75-ranked players in both the men&apos;s and women&apos;s singles draws, respectively. Cumulatively, 10 past BNP champions return to IWTG this year, though no star is presently glimmering brighter than defending women&apos;s winner, Naomi Osaka. 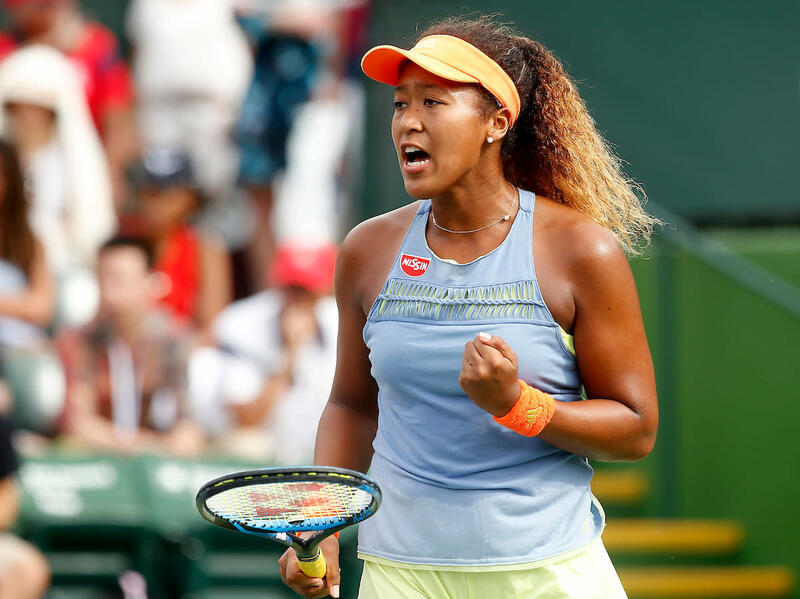 After her 2018 victory at the BNP led to a U.S. Open title in the fall, Osaka achieved back-to-back Grand Slam claims with her Australian Open championship in late January of this year. The title vaulted the native of Osaka, Japan to the world&apos;s No. 1 ranking. Joining Osaka on the women&apos;s side are former BNP champs Serena Williams (along with sister Venus Williams), Maria Sharapova, Victoria Azarenka and Caroline Wozniacki. Outdueled by Juan Martin del Potro in the men&apos;s final in 2018, five-time BNP champion Roger Federer returns to the desert in &apos;19 seeking to claim an event-record sixth crown. Joining Federer in the historic hunt is fellow five-time BNP titlist and world No. 1, Novak Djokovic. And after missing last year&apos;s tournament with injury and coming off a loss to Djokovic in the Australian final, three-time BNP victor Rafael Nadal makes his Indian Wells return this year, aiming for his first desert crown since 2013. The world&apos;s largest two-week combined men&apos;s and women&apos;s tennis event never disappoints when it comes to arousing the senses. An array of sights, smells and flavors narrate an event experience known to many as "tennis paradise." Kick off your BNP Paribas Open experience at Citi Taste of Tennis at the Hyatt Regency Indian Wells on Monday, March 4. This poolside celebration features food from local top chefs and appearances by some of the world&apos;s top tennis players. Plus, attendees can save 10% on tickets with code "GPS10". With a full selection of sport-centric vendors and a seemingly ceaseless greeting of flower beds and boxes leading spectators toward IWTG&apos;s main Stadium 1 and Stadium 2 playing arenas, the awaiting drink and dine experience plates a perfect segue to watching the action. In Stadium 1, Wolfgang Puck&apos;s Spago serves a high-end surf and turf menu, along with terrific pizzas from its wood-burning oven. For local fare at Stadium 1, lower bowl ticket holders can also enjoy the high-stacked sandwiches from Sherman&apos;s Deli. At neighboring Stadium 2, signature dishes at Nobu present a perfect watch and dine perch, while California-style servings from local favorite Wally&apos;s Desert Turtle offers a modern take on menu classics. Across the concessions grounds, guests are sure to be stated with ample options, including Cassell&apos;s classic burgers, KoGui&apos;s Korean BBQ, tossed-to-order salads at Melissa&apos;s Market, authentic Neapolitan-style pies at Pierro&apos;s PizzaVino and fresh catch at the Fish Market. The BNP Paribas Open provides a flexible array of ticketing options, along with a full calendar of events. For tickets across day and evening sessions: single day tix prove perfect just to get a taste of the action, while more robust Mini and Group packages are tailored to fans seeking to take in extended viewing; for attending parties of 10 or more, Group packages offer some sweet discounted options. And those looking for a high-end view of the event need investigate reserving a newly-remodeled suite at IWTG, where flat-screen TVs, indoor/outdoor viewing and available food and drink service complement the air-conditioned perch. For BNP-goers looking to pair play for an event-centric day, the tournament sports a full calendar of specialty days, including Champions Night, Kid&apos;s Day, and the Salute to Heroes ceremony. BNP guests seeking accommodations to couple with the tournament will enjoy a diverse selection of hotel and ticket packages, paring preferred stay rates at 15 nearby lodgings; hotel and resort package choices range from high-end to prudent, sating the spectrum of traveler. And those seeking to get on-court will find that tennis-crazed Greater Palm Springs has an abundance of public play and resort courts. Ruth Hardy Park has in Palm Springs sports eight public courts from for both day and night play, while nearby Demuth Park offers four public-access courts to serve under both sun and stars. In Palm Desert, the city&apos;s Civic Center Park provides a mid-valley choice of six tennis courts open to the public. Less than two miles from IWTG, Woodhaven Country Club matches membership play and private instruction with court bookings available to the public. And for a chance to serve with the potential of a few BNP players in-view, visitors staying at La Quinta Resort & Club have access to the property&apos;s hard and clay courts and can also take-in daily clinics during the tournament. For further information on tickets, lodgings, on-site events and player information, visit the BNP Paribas Open website.